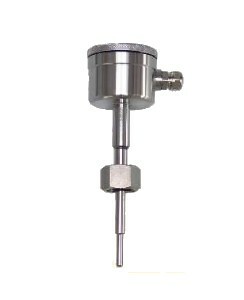 PT-100 Temperature Sensors - HiTECH Technologies, Inc.
Klay Instruments offers a complete range of PT-100 temperature sensors in 3-wire execution for industrial applications, with various insertion lengths and diameters. Standard accuracy is class A, 1/3 DIN according to IEC60751. Many different process connections are available, such as G½”, G1″, DIN milkcoupling, Tri-clamp and Flanges. The connection heads are available in form B (aluminum), BBK (polyamide) or in All Stainless Steel execution with bayonet – or screwcover. Besides the single 3-wire system also a “double” system (2 x PT100) is available. Various head mounted transmitters can be supplied in the connection heads, with output 4-20 mA or HART Protocol. For industrial applications, with various insertion lengths and diameters.